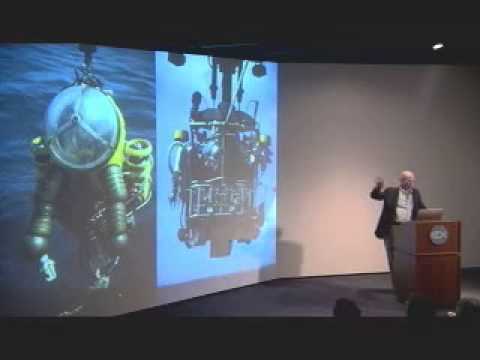 Larry Madin is a Senior Scientist and the Executive Vice President and Director of Research at the Woods Hole Oceanographic Institution (WHOI). His main research interests are in the biology of oceanic and deep-sea zooplankton, particularly medusae, siphonophores, ctenophores and pelagic tunicates. He was among the first biologists to use SCUBA and submersibles to study oceanic plankton in the early 1970s. Some of his recent research has been on the population dynamics and biogeochemical effects of salp blooms in the Antarctic and elsewhere, distribution of macro-plankton and fishes in the Arabian Sea, biodiversity of oceanic plankton in the Sargasso Sea, and development of new instrumentation for sampling and exploration. Dr. Madin was previously the Chair of the WHOI Biology Department, and Director of the Ocean Life Institute.